What a difference one letter makes. Redditer Odalaigh posted this hilarious gem today, and we can't get over how a single misspelling changes the entire thing. 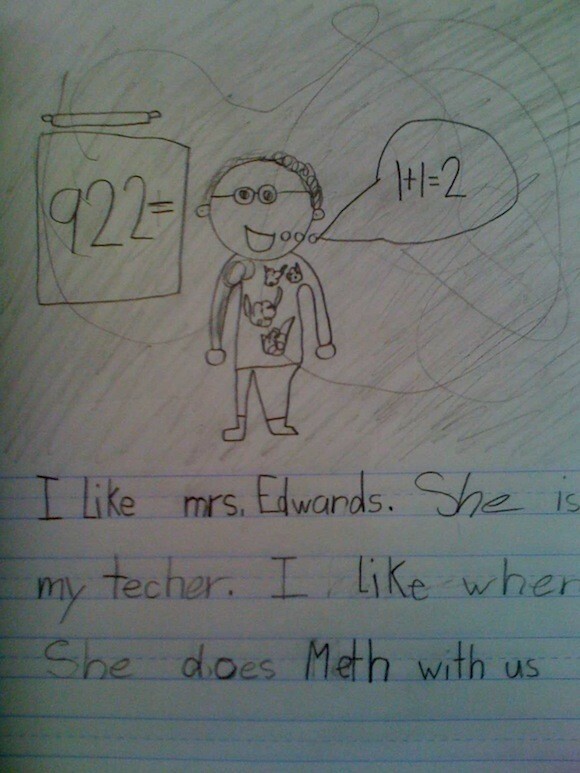 With that one letter, what starts out as a cute piece of classwork is turned into what could either be case evidence against a horrible teacher or viral advertising for the new season of "Breaking Bad." Of course it's neither, but we're still cracking up over here.